Ladbrokes is one of our favorite allround betting apps – with this app you have acces to both the Casino and the Sportsbook. 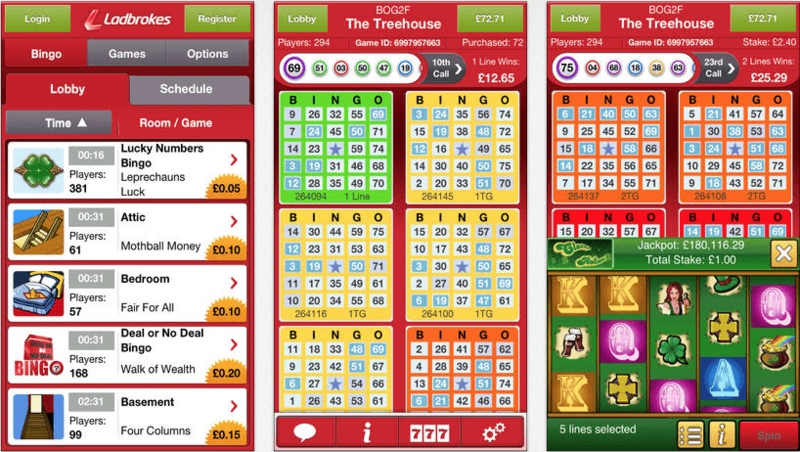 If you prefer playing Bingo, that’s possible as well to at Ladbrokes: you have acces to the bingorooms from within the casino app, or download the separate Bingo app by Ladbrokes. Apart from slots, all other casino games are available for mobile as well. European Roulette, Baccarat, tweo versions of Blackjack, Hold’em and Poker: it’s all there. As well as multiple scratch games, especially adapted for mobile phones. When you register at Ladbrokes, and make a first deposit to start playing for real, you will receive up to €/$ 500 free money as an extra: that’s free money to use for betting at your favorite casino games. As for the mobile sportsbetting section: this app is very good compared to most other sportsbetting apps. Apart from receiving a $/€ 25 free bet as a new player, you will receive multiple bonus amounts when you start betting for real. All major sports are included, as are all major sportsevents. Opening the app will immediately reveal all upcoming events and matches, making it easy to place a bet on the matches of your choice, be is a soccermatch, baseballmatch, volleybal, tennis or whatever: it’s all there. 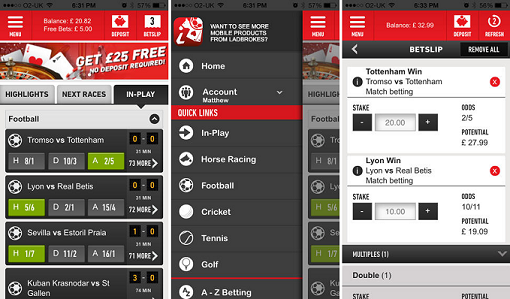 Horseracing is one of the most popular section of the Ladbrokes mobile Sportsbook. 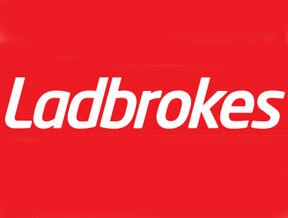 Australian players are currently not accepted by Ladbrokes, due to Australian local laws. Australian players should check out the Unibet app insted. Players from the USA can’t register an account as well, for the same reasons. The Bovada Sportsbetting app offers a good real money alternative for USA residents. The Ladbrokes Live Casino is an excellent choice in terms of online gambling apps, you can enjoy on your Apple devices. 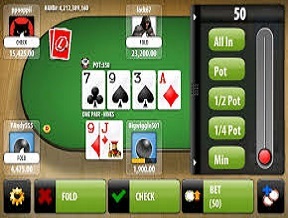 The app lets you enjoy hours of unstop gambling games, which are sure to satisfy and cater to all your needs. The app features some of the best gambling games, which make sure the energy levels stay high! For the app to run smoothly on your Apple devices, it must have a minimum of iOS version 6.0 or later. The app is playable on iPhone, iPad and iPod Touch devices. It is also optimized for iPhone 5, such that it can get you the best experience possible on your handheld. The app presents you with a clean and uncluttered app interface. The app although being simplistic, does not compromise on the graphics quality of the games. Navigating around the app was a pretty fluid experience. 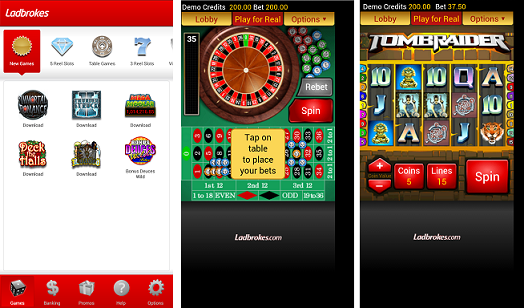 The Ladbrokes Live Casino app allows you to enjoy some of the best online live gambling games using your mobile. You can choose from numerous thrilling game tables, according to your taste. There are many different tournaments held from time to time, getting you the best chances of winning. With the app you can enjoy some of the richest bonuses and promotions, which are sure to get you winning more than you put into your account. 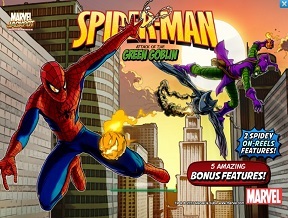 Their welcoming bonus lets you grab a wholesome bonus amount, to get wagering with. Apart from the welcoming bonus of the casino, you can also enjoy some of the best promotions form time to time. The app provides you 24/7 support with any of the issues which might arise. 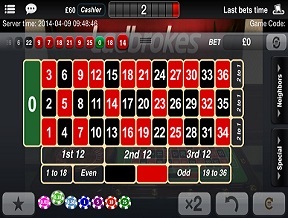 Hope you’ve enjoyed reading this Ladbrokes Live Casino review, try out this app today!